A reader – Kevin has send in this picture that was taken by his grandfather in the 80’s of where he grew up but no one knows where it is. Does anyone recognise the surroundings or the street itself? I do believe that this is taken in Dublin as my dad tried to retrace his past before he passed away, unfortunately he did not write on all of the photographs where they were taken. your help would greatly be appreciated, but needle and haystack ring a bell? thank you very much. UPDATE: Kevin located the street in the region of Grand Canal Dock and is delighted to have been able to close off that side of his fathers family tree. Thanks to everyone for all the help! don’t know it myself, but just thought it looked like somewhere round there, and it is. and the registration plate style on the renault 5 was only introduced in 1991. 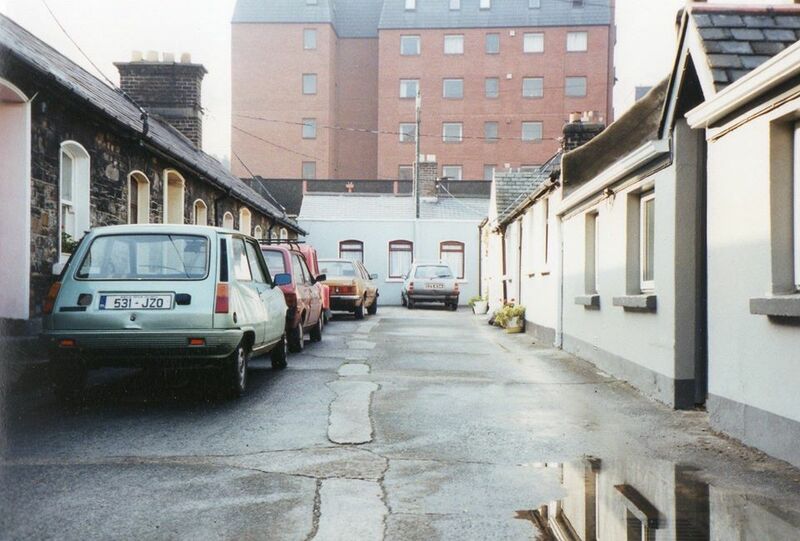 I believe the photo is of Spencer Place, North Strand, Dublin 3. I just happened to find this question a few days after seeing a cottage on this street for sale on Daft, which is the only reason I recognize it. I have included a link to the ad above. On second glance, I don’t think I am right about that … sorry! albert court east.. i posted the link in my post above.